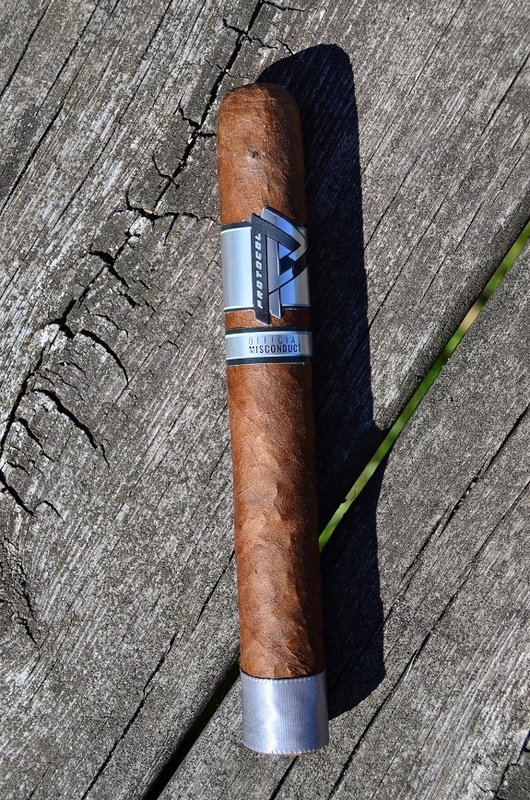 Last month, I lit up the Protocol Probable Cause, a 2016 release from Cubarinqueno Cigars. 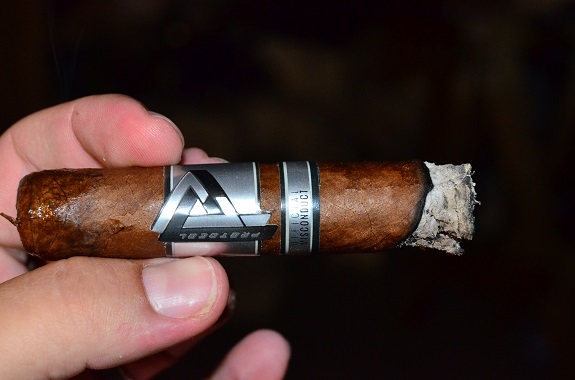 It was my first go around with a Protocol cigar and I thoroughly enjoyed the big flavors the cigar brought to the table. Today, I light up the fourth release from the company – Protocol Official Misconduct. 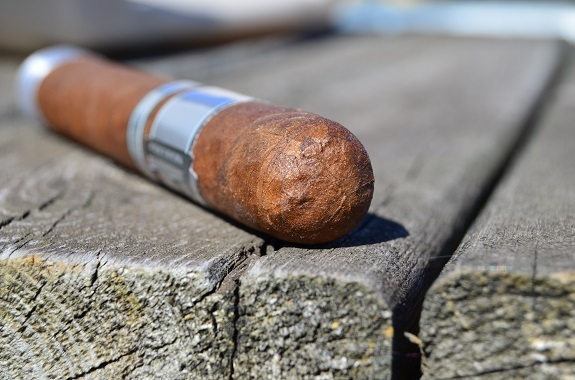 Like the Protocol Probable Cause, Official Misconduct is a law enforcement inspired cigar. 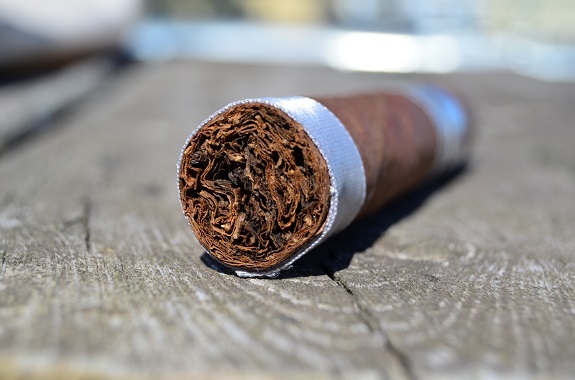 Manufactured at Erik Espinosa’s La Zona factory, the cigar features an Ecuadorian Habano wrapper with Nicaraguan binder and filler tobaccos. While other sizes are in the works, only a 6 by 50 toro is currently available that is sold in 10-count boxes. The Protocol Official Misconduct wears a medium brown wrapper Ecuadorian Habano wrapper that has a marbleized appearance. The cigar gives slightly as I roll it lightly between my fingers. There are only a couple medium sized veins on the leaf and some scattered bumps. Even though a fine tooth can be seen upon close inspection, it cannot be felt underneath the fingers. The wrapper aroma is of graham cracker and honey, while notes of chocolate, raisin, and more of the honey sweetness is found on the foot. A shallow cut opens up a free draw that delivers spicy cold draw flavors of cinnamon, cedar, and honey. 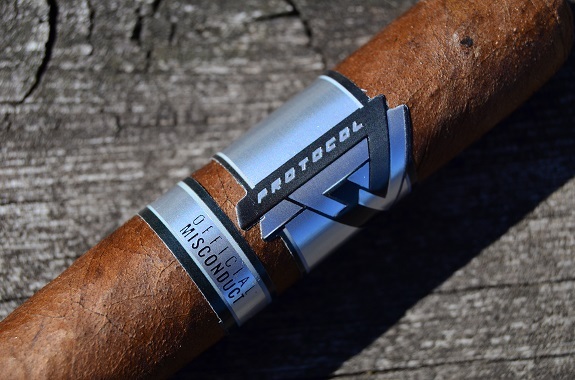 The Protocol Official Misconduct toro opens up with a spicy profile in terms of both heat and flavor. After a half inch, the spice settles just enough to let a coffee flavor peak through. 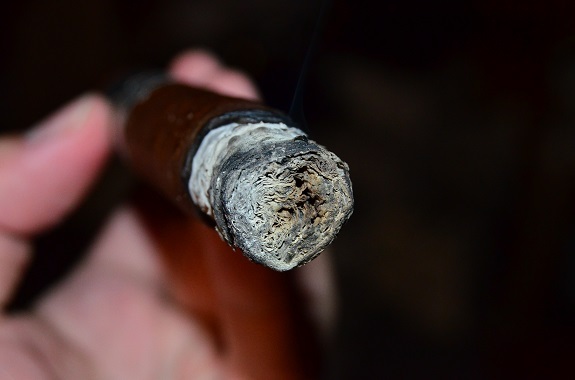 After knocking off the first ash that is flaky in appearance, I see a tunnel forming that is having a drastic impact on the flavors and smoke production. As I enter the second third, the cigar is no long tunneling, but a quick hit with the lighter is required to get the cigar burning again. The salt and pepper spice remain the dominant characteristic of the profile, making for a very meaty profile matched with the dark coffee. After a mostly consistent profile through the previous two thirds, a very welcomed sweet cedar has joined in. The strength that I was beginning to feel earlier is in full force as I smoke through the final third of the Protocol Official Misconduct. Right off the bat, the Protocol Official Misconduct opened with a spicy profile that held strong throughout. The spice drowned out anything else the cigar had to offer. Even the coffee had a hard time keeping up with the spice and the sweet wood joined in a little too late. 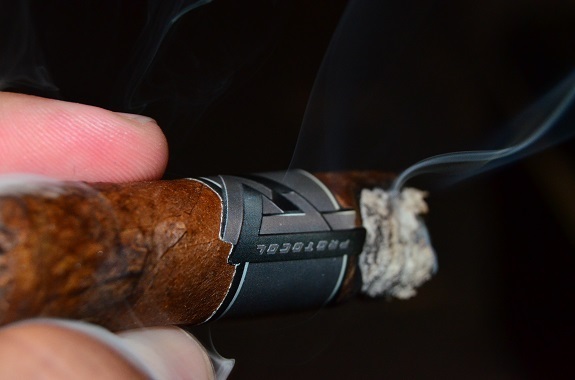 Combined with the tunneling, the cigar struggled to stay lit making for a sub-par performance. This may be a good cigar to try down the road to allow time for the tobaccos to mesh and balance out. If you like strong and spicy cigars, this may be the cigar for you. I would maintain them a tad dryer than normal to help with the burn. Even though it wasn’t the favorable smoking experience I had with the Probable Cause, I realize it is a handmade product with a lot of contributing factors. Because of that, this is a cigar I want to revisit six-months down the road.